Forget those cloying reed sticks dipped in scented oils—there's a far more refined way of scenting the air around you coming to the fore. Enter: aromatherapy diffusers. 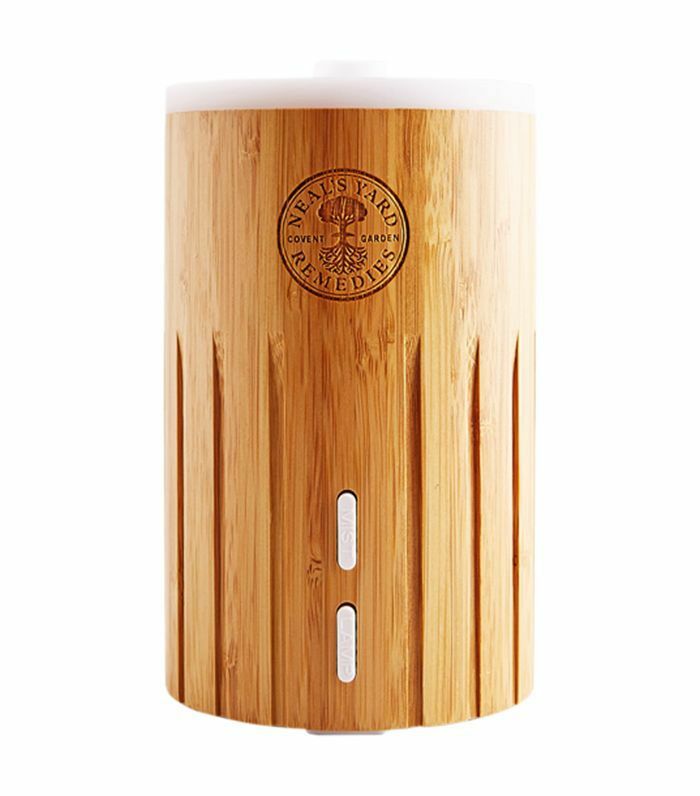 Rather than a heavy perfume, these clever diffusers harness the mind-soothing powers of aromatherapy as they fill up your room. You know how a slick of your favourite essential oil rollerball over the temples can soothe a stressed mind? And how dunking into a tub full of aromatherapy oils can ease tired muscles? Well, an aromatherapy diffuser can deliver those same benefits via the atmosphere without you really having to do anything at all. So powerful, as soon as you try one, you'll no doubt want another for your desk, one for your bedside table and maybe even one perched next to the sofa. Keep scrolling for five aromatherapy diffusers that don't just look chic, but will have you chilled out in no time at all. 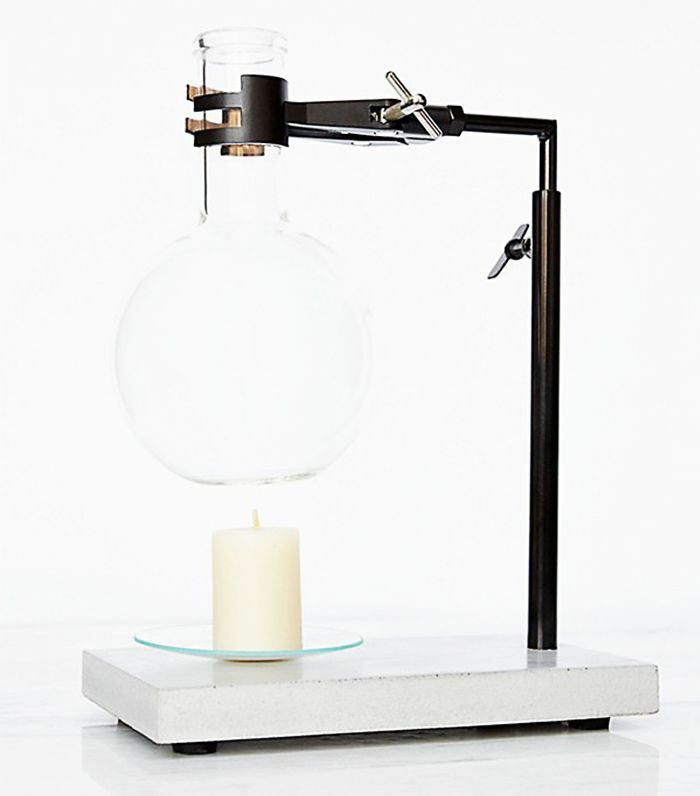 It might look like something out of your Year 8 chemistry lessons, but it's actually a rather chic aromatherapy oil burner. 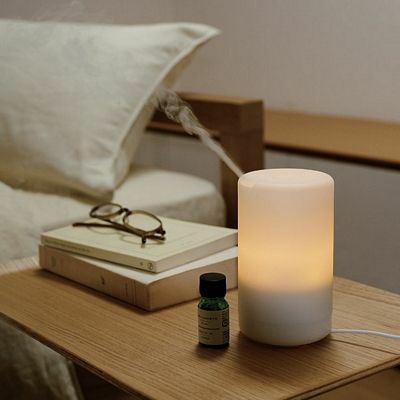 Simply tip a few droplets of aromatherapy oil into the glass flask, light the candle below and the heat will send the scent (and its mind-massaging properties) up into the atmosphere. So simple that you wouldn't know what this was at first glance. In fact, it's a rather understated diffuser from Muji. Inside, there's a lamp that lets off a rather soft glow, and being flame-free, it's safe for a pet- or child-filled home. 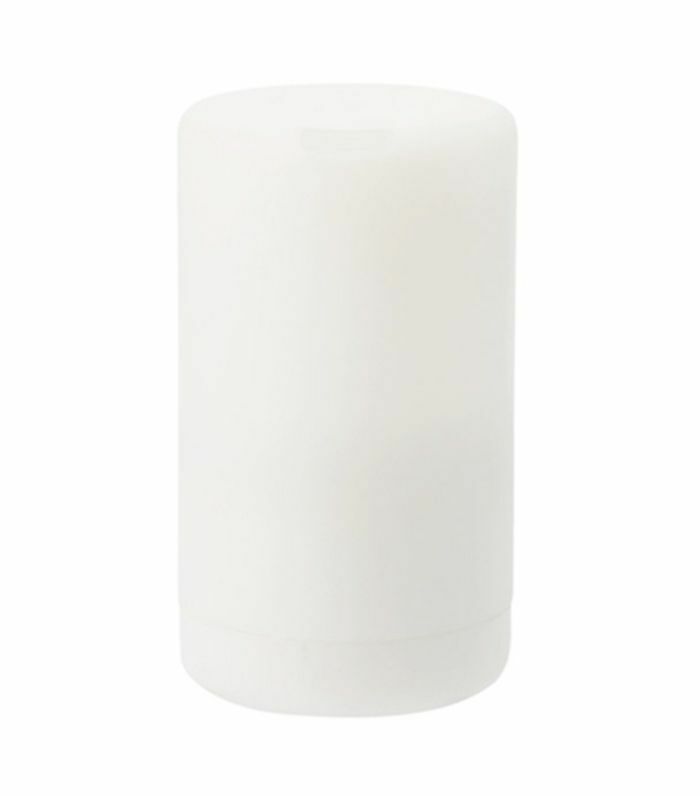 Fill with water and aromatherapy oils and the two will bubble together and drift off into the room. Bonus: The wood casing gives this one proper Scandi vibes. Like a small ceramic bowl, this plug-in diffuser heats up a few drops of oil in a matter of minutes. 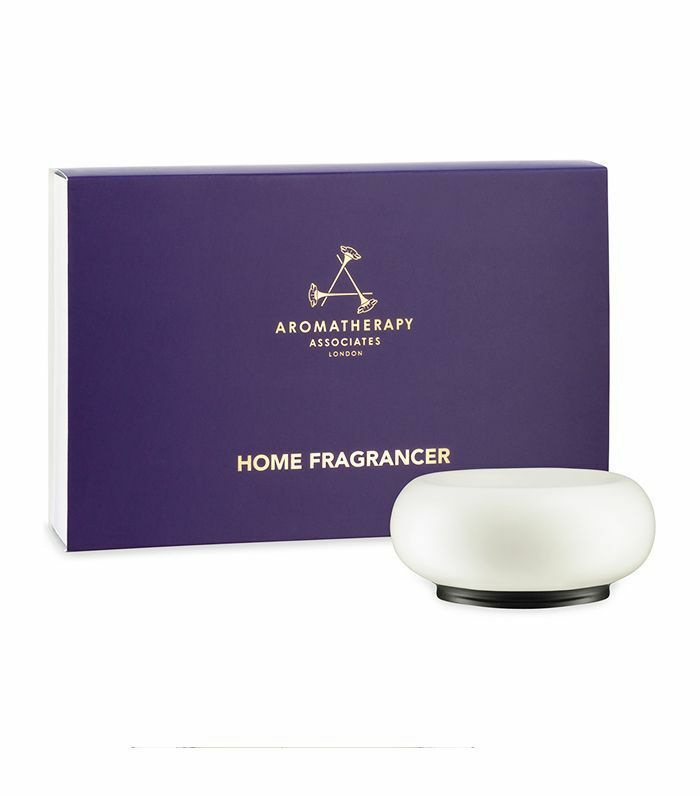 This plug-in diffuser comes with a little bottle of a serenity-inducing blend of lavender and spearmint, which spurts out of the opening at the top. The stretch of the aroma is particularly far-reaching. Up next: Why your crown chakra probably needs healing, and how to do it.